Take a seat and vibe to the smooth sounds of Matt Blvck. Following the success of his second EP ‘After Party' (2017), which accumulated half a million streams on Spotify, the singer/rapper returns with his new single ‘Blow’. With 3 years of songwriting and 2 EPs under his Matt Blvck is set to make waves in the R&B sphere. Drawing inspiration from Usher and all the timeless 90s R&B songs that went before it the mellow sound of ‘Blow’, released May 14th, gives you that classic feeling with an urban twist. With bouncy flows and a catchy hook, Matt transitions between rapping and singing with ease, delivering a track that is both edgy and effortless. The song echoes the sentiment of being hard at work, with the singer describing feeling as though he is the next up. While the song is clearly a reflection of Matt’s own journey, it’s message is something which is universal to everyone on the come-up regardless of age or industry. The singer has an undeniable energy within his voice that will undoubtedly speak to the masses. With velvet vocals and a relatable air about him, Matt Blvck is a force to be reckoned with, perhaps even bringing a sound which the UK has been missing. 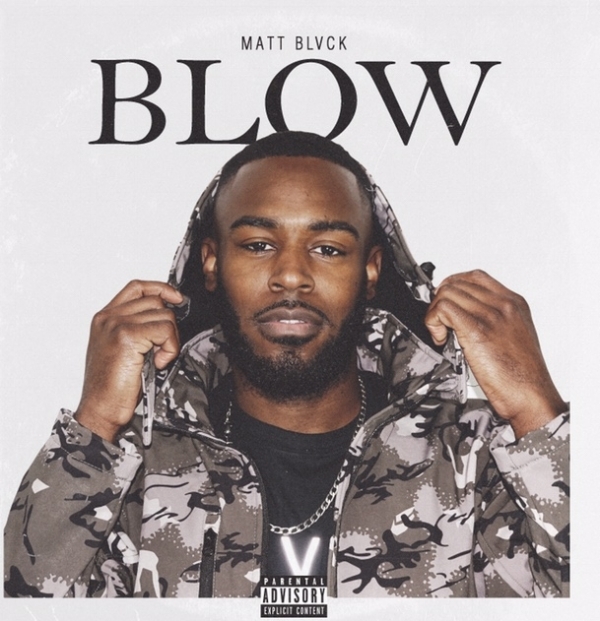 Will Matt Blvck be the next to blow on the UK R&B scene? Only time will tell.